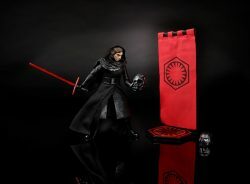 Hasbro has two Black Series exclusives they’ll be offering this summer, one each for Star Wars Celebration Europe and one for San Diego Comic-Con. First up at Celebration Europe we have unmasked Kylo Ren from The Force Awakens. He’ll include his helmet along with the melted helmet of Darth Vader. 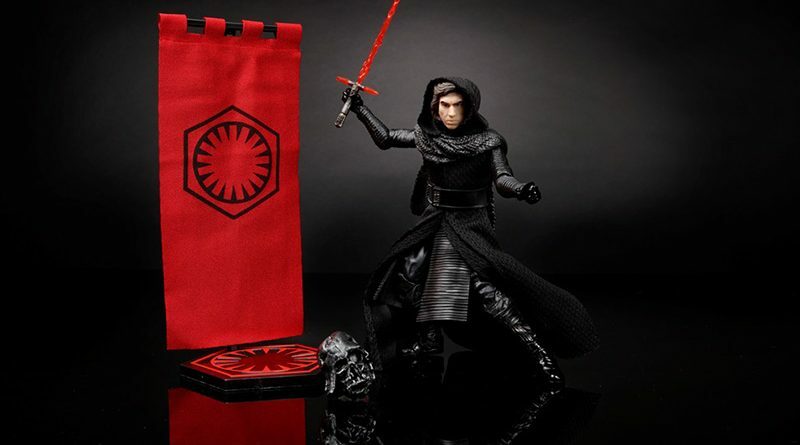 Kylo Ren has both an ignited lightsaber and hilt and will also come with a First Order banner. Kylo Ren retails for $34.99 and will be sold at the show by Forbidden Planet (booth #S1003). 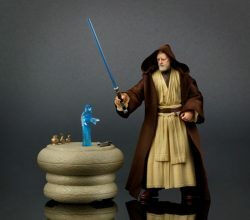 At San Diego Comic-Con, HasbroToyShop.com (booth #3329) will be selling A New Hope Obi-Wan Kenobi. 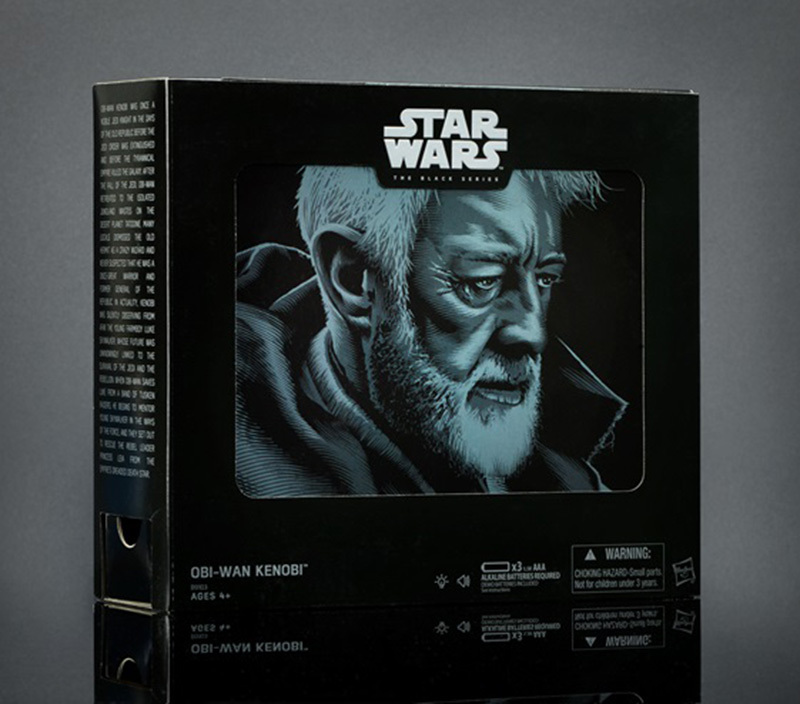 He’ll come in a special collector box with a table and light-up holographic Leia. 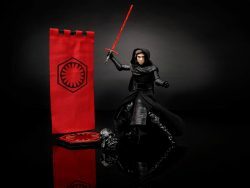 He’ll also include both his lightsaber and the hilt of Anakin Skywalker’s lightsaber. 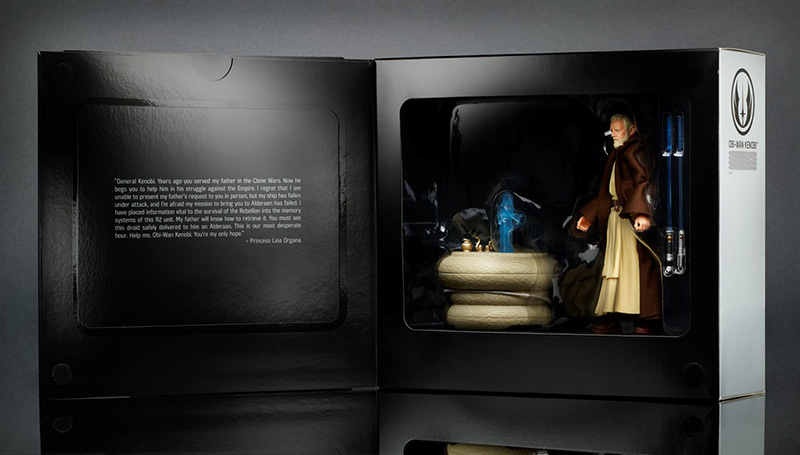 The set will retail for $44.99. 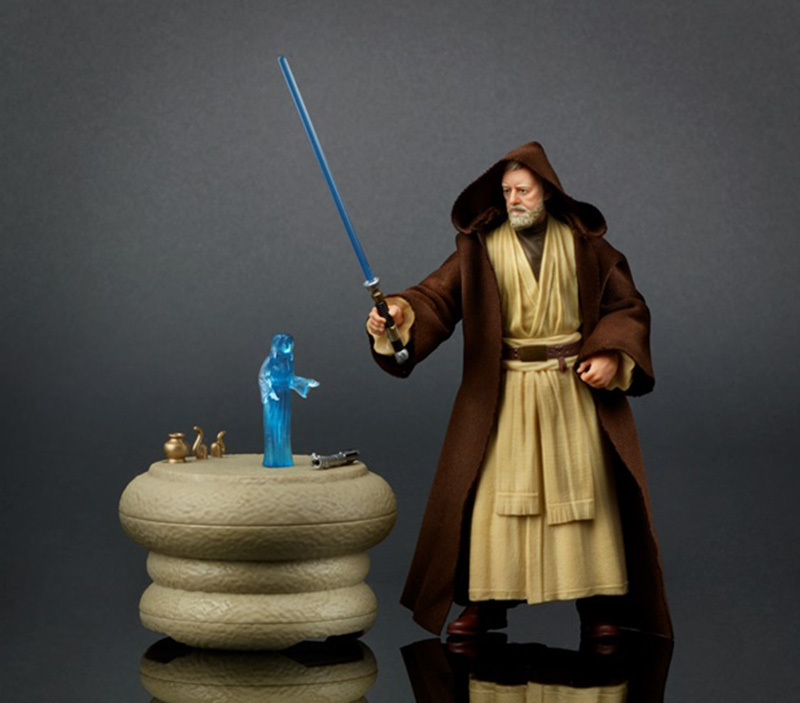 Obi-Wan will be available at retail again in September at Fan Expo Canada. 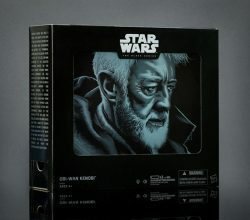 It’s been confirmed by Hasbro that both figures will be sold online from HasbroToyShop.com after the conventions. Exact dates haven’t been provided.